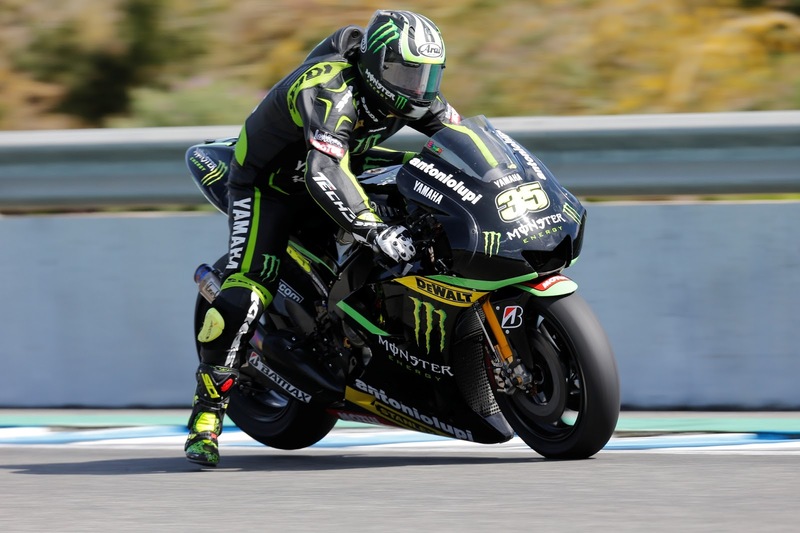 Monster Tech3 Yamaha rider Cal Crutchlow had mixed feelings after today’s qualifying session for tomorrow’s Spanish Grand Prix in Jerez. The British rider crashed twice within an hour this afternoon, firstly in FP4 Crutchlow crashed uninjured at Turn 5 and then during the frantic Q2 session to decide the grid for the premier class race, in which Crutchlow was on a front row lap, he lost the front on the entry to the newly named Lorenzo turn which sent him tumbling through the gravel. After his stunning start to the 2013 campaign the Brit was determined to put a time in that would give him his ninth MotoGP front row start and bravely headed back to the garage for one last try. Unfortunately it wasn’t to be and Crutchlow had to settle for fourth place on the grid on the outside of row 2 with a time of 1:39.262s, just 0.291s shy of third place Marquez. Immediately after the qualifying session Crutchlow visited the Clinica Mobile for work on some lower back pain caused by the second crash and was declared fit to race immediately after. Team mate Bradley Smith put in a superb display to progress from Q1 and will start the race from 12th place on the grid after a spirited effort in Q2 and will look to add to his points scoring finish last timeout at COTA.